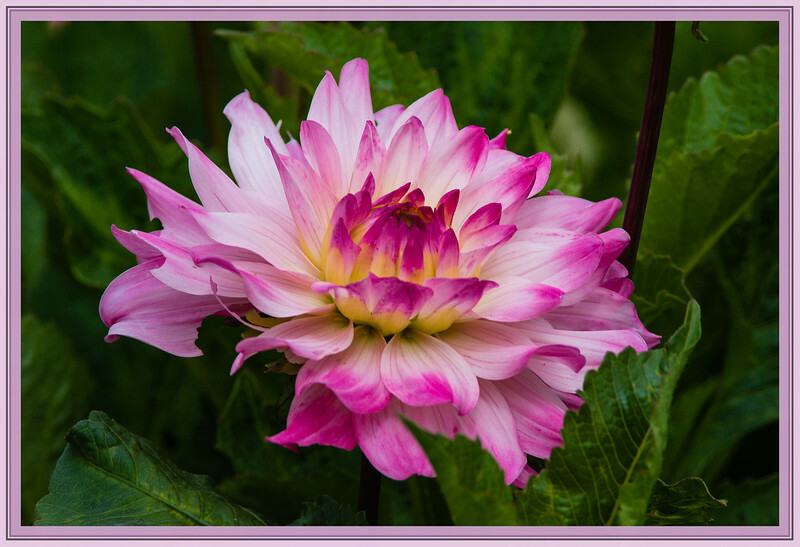 What a beautiful dahlia and you captured it so well. Beautiful capture of this Dahlia. Great shot Rick, gorgeous color. The dark green background couldn't be a better choice. I sure do wish that Dahlia's would grow here in Texas. I love them so, and there are so many varieties and colors. Beautiful shot here Rick. So pretty...I love the ones with the blended colors!